The Economic Development Partnership of North Carolina (EDPNC) set up an office in Bangalore in November 2018 to build on its track record of Indian company presence in the US region. As head of the statewide organisation responsible for recruiting foreign direct investment into North Carolina, I’ve made it a priority to grow the already impressive roster of Indian companies that have chosen our state as the best location for a US expansion. So I’m happy to announce that the Economic Development Partnership of North Carolina (EDPNC) recently opened an office in Bangalore, dedicated to identifying and attracting corporate investors from India. North Carolina is one of only a handful of US states to ever establish an in-country office fully dedicated to cultivating India FDI. The decision recognizes the growing Indian investment in our state in recent years; our top performance in industry sectors that complement Indian interests; and the partnership opportunities inherent in a country that boasts one of the fastest-growing economies in the world. North Carolina ranked No. 1 among all 50 US states for the total number of announced jobs connected to Indian FDI. North Carolina was the No. 2 state in the Southeast US and No. 7 nationwide for the total capital investment announced by Indian companies. And North Carolina tied for first among Southeast US states and fourth among all states for the number of project announcements connected to Indian FDI. 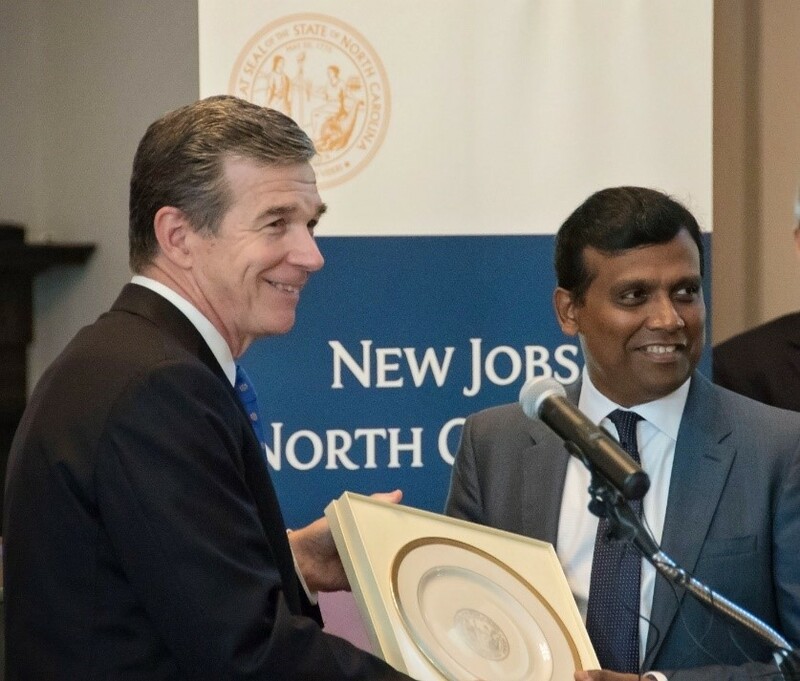 North Carolina had a banner year in 2017, when India-based companies announced over $112 million in capital investment and 2,110 new jobs in the state. Information technology giant Infosys made the biggest headlines when it chose the capital city of Raleigh for an $8.73 million innovation and technology hub. The hub that will create 2,000 new jobs in the state’s Research Triangle region, encompassing areas in and around Raleigh, Durham and Chapel Hill. Infosys joins other globally recognised IT leaders with major operations in “the Triangle,” including IBM, SAS, Cisco, Citrix and India-based global technology services company HCL Technologies. HCL Technologies, which opened the first of its global delivery centers in Cary in 2008 and its second office there in 2015, now employs nearly 1,000 people in the Cary area. All these companies thrive in a region known for its pipeline of tech talent fueled by Research Triangle Park (RTP), the largest research park in the US, and top-tier research universities including Duke, the University of North Carolina at Chapel Hill and North Carolina State. In 2016, another Indian firm, Aurobindo Pharma, announced it would be locating a $31.7 million, 275-job research and development headquarters in Durham near RTP. 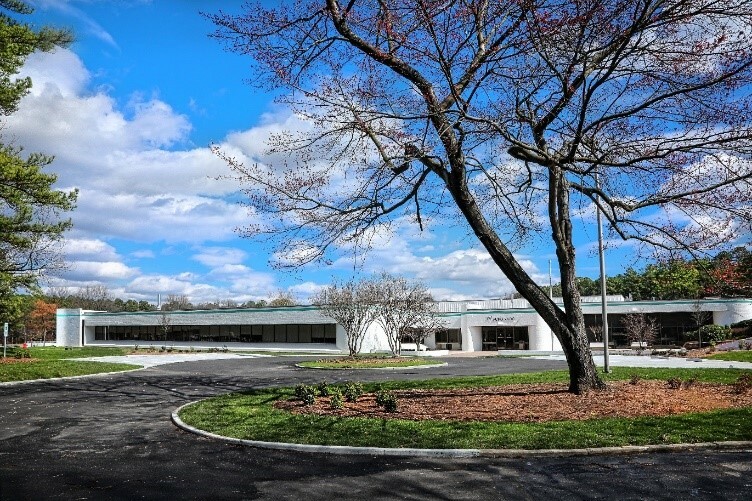 “North Carolina has one of the best talent pools in the specialty pharma R&D and manufacturing sectors, and we look forward to establishing a large and successful footprint here,” said Dr. Ninad Deshpanday, president of research and development at Aurobindo Pharma USA. And last year, Indian technology services firm Zensar also chose Durham for its first US customer delivery center, expected to create at least 200 new jobs. The Zensar, Infosys and HCL investments illustrate the strong appeal of North Carolina as a top strategic location for global technology companies that want to “nearshore” facilities closer to their existing US corporate clients, to better serve those customers while winning new business. Next to IT, pharmaceuticals is a leading area for Indian companies to grow in North Carolina. 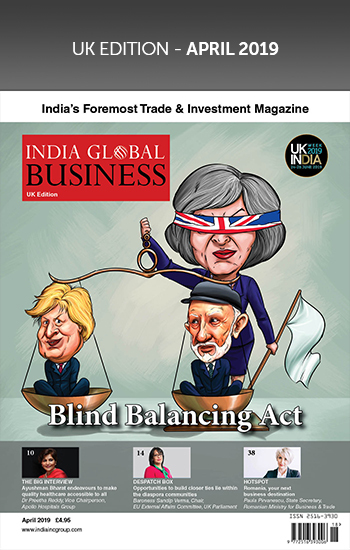 For example, earlier this year Glenmark Pharmaceuticals, a Mumbai-based global pharmaceutical company, received its first US Food and Drug Administration approval for commercial production of a drug manufactured at its facility in Monroe, North Carolina, the company’s first manufacturing site in the US. The $100 million plant located near Charlotte employs 168 people. North Carolina is a national leader in pharmaceuticals and other life sciences. Employment in North Carolina’s life sciences industry has grown at more than three times the national average over the past 10 years and includes some of the industry’s biggest players, such as Grifols, Novozymes, Biogen, Novo Nordisk, IQVIA, LabCorp and BASF Plant Science. More than 700 bioscience companies operate in the state, employing over 65,000 people. 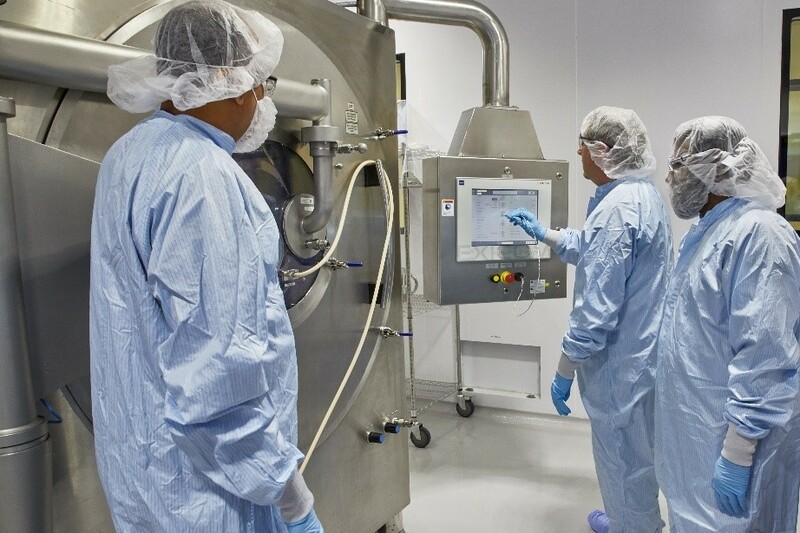 North Carolina has the third-largest pharmaceutical industry in the US by total employment. Other promising industry clusters for Indian FDI in North Carolina include automotive, aerospace, textiles, financial and business services, and food processing. Automotive manufacturing, for example, is already big in the state, which is home to over 230 unique automotive companies. In fact, 33 of the top global OEM automotive parts suppliers in North America have operations in North Carolina, and they are well-positioned to serve leading automakers located in the Southeast US. Last year, Mumbai-based Mahindra Vehicle Sales and Service announced it would locate its North American office headquarters in Henderson County in Western North Carolina. Mahindra wants to sell more on- and off-road vehicles in the US “A location in the Southeastern automotive market, and the beautiful Blue Ridge mountains, is ideal for our company to accelerate our growth in the automotive sector,” said Luc de Gaspe Beaubien, vice president of sales for Mahindra Vehicle Sales and Service. North Carolina’s aerospace cluster is strong and growing. Aerospace industry jobs in North Carolina have increased 39 percent since 2012, the second-fastest growth rate in the US Innovative aerospace companies with major operations in the state include GE Aviation, Honda Aircraft Company, Spirit AeroSystems and ATI Specialty Materials. North Carolina and India share deep roots in the textile industry. Indian textile companies that have announced investment in our state have singled out reasons including the low cost and reliability of electrical power in North Carolina (the state’s industrial electricity costs are nearly 7 percent below the US average) and access to locally grown and contamination-free cotton. We are the No. 1 textile-manufacturing state in the US, and a leader in producing nonwoven engineered fabrics. In fact, about 40 percent of the US nonwovens industry is based in North Carolina. North Carolina’s population is at 10.2 million and growing, and the state is now the nation’s ninth-most populous. Being one of the fastest-growing states in the US supplies a steady pipeline of talent for business. The state’s growing population has access to top-tier education and training. Students are earning degrees at 53 colleges and universities across the state. The state’s 58-campus community college system is the nation’s third-largest and a national model for customized workforce training. North Carolina’s 3 percent corporate income tax rate is the lowest among all 44 states with the levy. And that rate is scheduled to drop to 2.5 percent in 2019. North Carolina’s cost-effective business environment is clear across several measures. In fact, North Carolina has the second-lowest business costs (covering labor, energy and taxes) in the country, according to Forbes’ Best States for Business list, where North Carolina is ranked No. 1 among all 50 states. 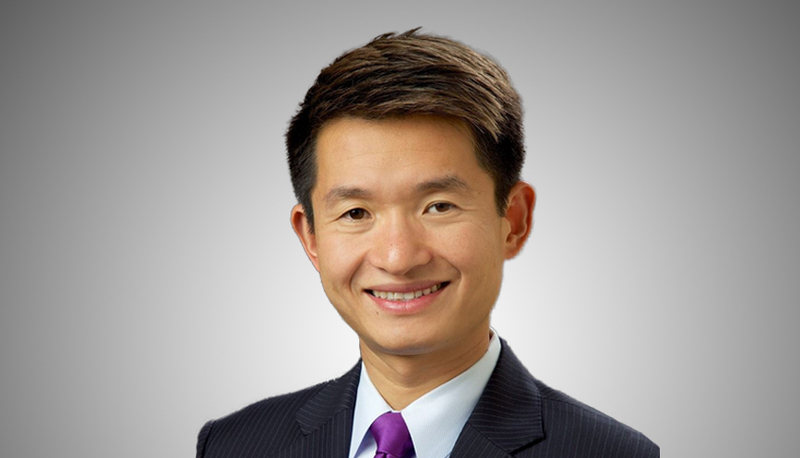 Christopher Chung is the Chief Executive Officer, Economic Development Partnership of North Carolina.